This is beautiful!! I love the blue. BEAUTIFUL, very creative, love it!! Love your Christmas themed blog too! Wow! very cheery! Oh Kelly, this is just gorgeous! Love, love, love it! I also love your Christmas blog look - wowzer! That sentiment is freaking awesome!!! I love you and I love this card...now I really can't wait to get settled...LOL! Oh Kelly.. this is so beautiful! 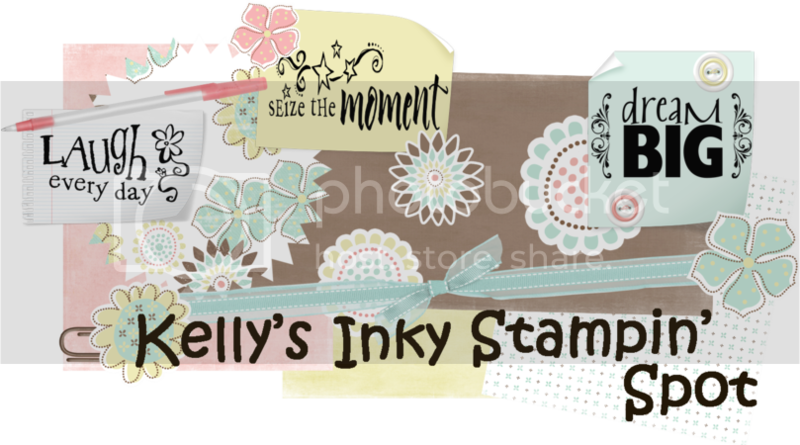 Love that ornament punch/stamp combo!